How do I delete all open shifts? 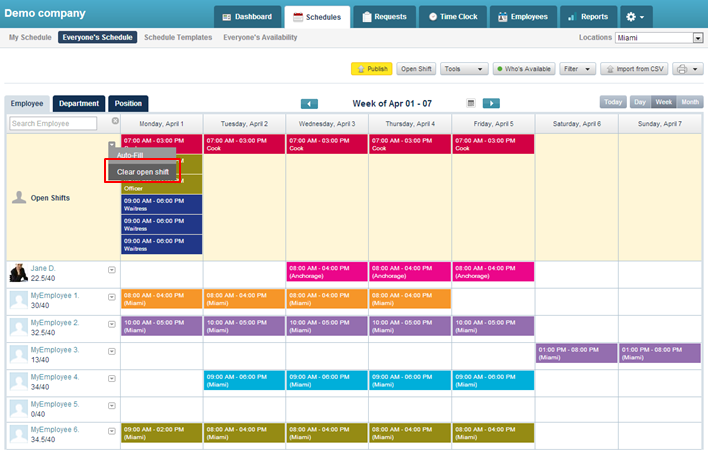 The option Clear Open Shifts can be found on the weekly view of Everyone’s Schedule (a small arrow next to Open Shift label). When you select it, you delete all existing open shifts for the week.